I had the chance to sit down with nutritionist Jessica Tong. The registered dietitian that works with Zespri Kiwifruit. At the time I was very inspired by the Olympics so a lot of my questions have to do with training nutrition. I hope you all can take away a bit of new knowledge about how great Kiwifruit is from the questions that I asked her. If I am planning a tough training day when is the best time to have my fruit like a kiwi? The best time to have kiwifruit is prior to a tough workout. Packed with potassium, vitamin C, vitamin E, antioxidants, and natural sugars, Zespri SunGolds are a nutrient-dense snack of choice to fuel your body, optimize immune function, and ensure proper muscle function during your workout. What major nutrients are in a kiwi that will contribute to my health? Zespri SunGold kiwifruits are excellent sources of vitamin C. They contain 2 times more vitamin C than oranges, which is important for immune function and the growth and repair of bones and tissues. Zespri SunGolds are also a good source of vitamin E, a natural antioxidant. Potassium is crucial for heart function and plays a key role in muscle contraction. One serving of Zespri SunGolds provides as much potassium as a medium banana. Vitamin C, vitamin E, and potassium are all essential micronutrients that are especially important when you are training. What is a good go-to recipe for kiwis? Are kiwis high in sugar? What is the glycemic rating? 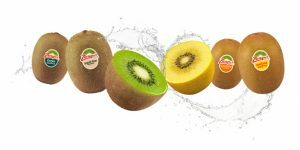 Kiwifruits are relatively low in sugar, especially Zespri SunGold Kiwifruits. They are low on the glycemic index (Zespri Green: 39, Zespri SunGold 38) and are appropriate for people with diabetes or impaired blood sugar control. How many kiwis are one serving size? One serving of Zespri SunGold is 162 g or 2 kiwifruits. How much more vitamin C does a Kiwi have than an orange? Based on 100 g, Zespri SunGolds contain 2 times more vitamin C than oranges. What is the PH balance of a kiwi and how can it help my athletic performance? Acid-base balance, or pH balance, affects the body’s metabolic process. It is important that blood pH stays within the range of 7.35 and 7.45, which is on the basic/alkaline side. When blood pH levels become too acidic, an environment is created for bacteria or viruses to enter and to thrive, leading to illness, aches, and lack of energy. This can worsen muscle soreness, create a feeling of fatigue, and compromise athletic performance. Depending on its ripeness, the pH value of a kiwifruit varies between 3.1 and 3.96, classifying it as a “high-acid” food. However, while kiwis are naturally acidic, they become alkaline after digestion, promoting alkaline balance. Also, kiwifruits are not acid-forming. When acid-forming food is consumed, such as artificial sweeteners, meat, and alcohol, all of which are common in the North American diet, it produces toxins that impact the pH balance of the body and makes the blood more acidic. We know that fibre is important and especially with muscle. How much fibre does a kiwi have and how does it help my fitness goals? 1 serving (2 kiwifruits) contain 4 g of fibre. Fibre is slow to digest so it keeps you fuller for longer. This is crucial if you are trying to control calories. Fibre also prevents a blood sugar spike as it causes glucose (sugar) to enter your bloodstream in a slow, controlled manner. This helps to stabilize energy levels and prevent a “sugar crash”. Fibre is also important to promote digestive health and regularity. Is there anything else you would like to share? Where can we find more information about you? Kiwifruit is considered a superfood/superfruit. It is a versatile fruit that is nutritionally superior to apples, oranges, and bananas. 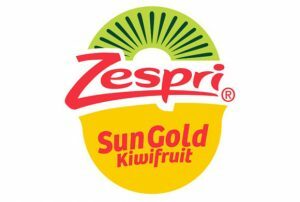 Please feel free to reach Jessica via www.jessicatongrd.com and to learn more about Zespri check out there website HERE.